The education sector has been evolving with the emergence and growth of technology. From distance education to online tuition and guides, the edtech industry in India has rich offerings for one and all. The long-existing barriers in the education sector have been blurring out, thanks to easy access to knowledge and information that has been brought about by the internet and edtech applications & programs. The industry is at an inflection point, with investors funding in and companies growing at an impressive pace. And Extramarks has been on the leading front of this growth. “Having already established full-fledged operations in South Africa, Indonesia, Ghana, and the Middle East, Extramarks is looking at conquering many new geographies. Within India itself, the demand for our home study packages and apps has grown massively and hence we are looking at rapidly expanding our employee base to address the steady growth in demand. In the next three months, Extramarks is looking at hiring no less than 1500 people,” Mr Kulshrestha added. 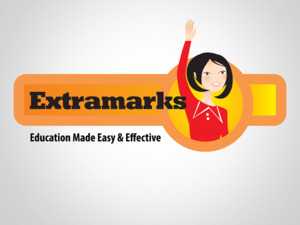 In addition to their growth in India, Extramarks offering in the international curriculum mapped learning solutions (IGCSE), has also helped in shaping the company’s success story.New and revamped launches like the IIT JEE App as well as their Smart Coaching Centres have also been helping aspirants to prepare and train for the competitive exams in a much more efficient way. Apart from all these factors, the company’s drive to making education and learning accessible to everyone is what sets it apart from the industry.